The film Bill Evans, Time Remembered took me 8 years to make. 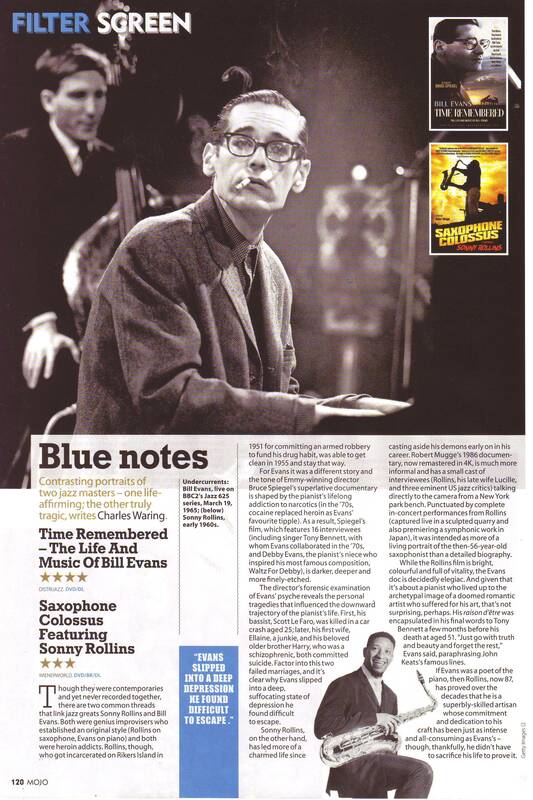 Eight years of tracking down anybody who knew Bill and who played with him, to try and find out as much as I could about the illusive and not easy to understand Bill Evans. I feel very honored to have had the chance to interview and get to know good guys that spent a lot of time with Bill: Billy Taylor, Gene Lees, Tony Bennett, Jack DeJohnette, Jon Hendricks, Jim Hall, Bobby Brookmeyer, Chuck Israels, Paul Motian, Gary Peacock, Joe LaBarbera. It was a once in a life time experience talking to these gifted talented guys about their time in jazz music, about their “Time Remembered“ with Bill Evans.